If you're experiencing any of these, better book that appointment now! It's never a good thing to Google your skin ailments, because you'll end up paranoid af, which leads to self-medication (and worsening your condition)—eventually leading you to book a doctor's appointment anyway. If you're exhibiting one of these skin signs, ditch those creams and lotions you've been using and give the nearest dermatologist's clinic a call. You may have eczema, psoriasis, or god knows what! If it's constantly itchy and scratching makes it worse, it's time to see your doctor. This could be related to stress or a change in environment. Whatever the cause is, it could be related to the rash you have. Having a hard time finding the right skincare products that won't turn you into a tomato? Then there's no one better to help you out. If you've had clear skin for as long as you can remember and you notice that you suddenly have a large batch of pimples, you should get them checked out. If your current acne treatment is a no-go, tell your doctor too so that he or she can prescribe a new type of medication. Who knows, the next one might be a winning formula! 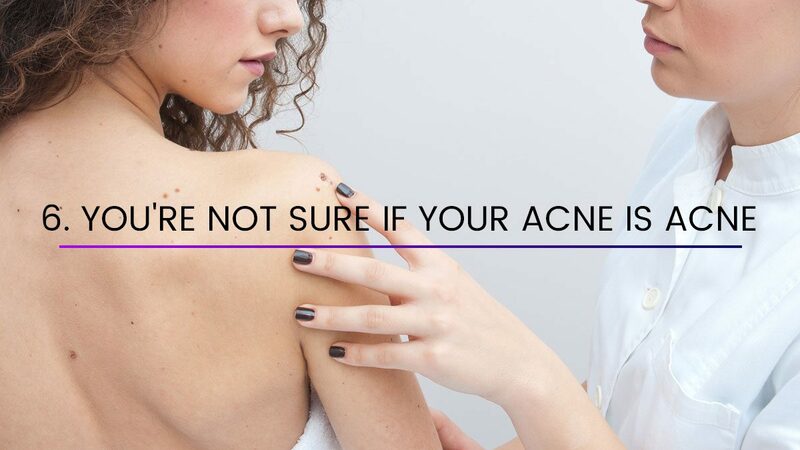 It could be allergies masquerading as acne or fungal acne, which is harder to treat! If you're doubting that your pimples are really what they are and all your current skincare treatments aren't working, go and have them checked to find out. There's no harm in making sure, right? Getting a sunburn is not healthy. But it should start to properly heal within a few days and then begin peeling. If it isn't, you need a doctor's opinion! If you're not stressed, or if you haven't changed anything in your haircare routine but are still losing a lot of hair, don't wait until it gets worse.